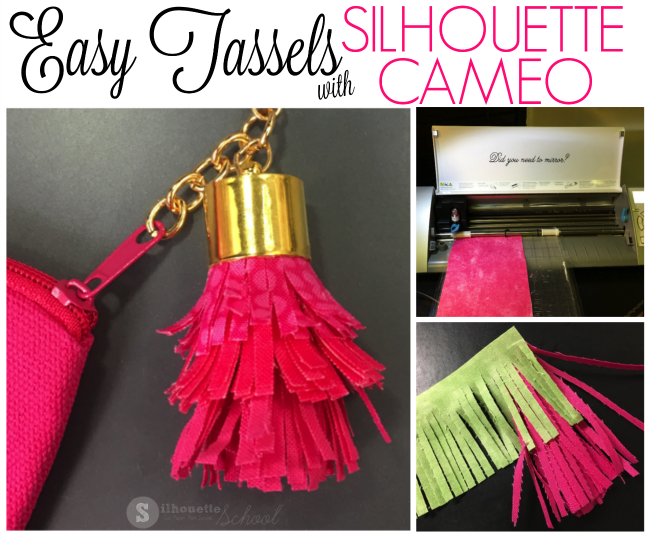 Tassels are a really hot trend right now that's why it's great that you can make fabric tassles with your Silhouette CAMEO! 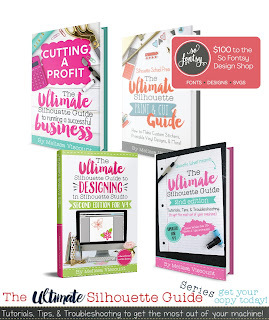 I am so excited to have Jamie from Craft Chameleon on the blog today to show us just how to cut a three tiered tassel with Silhouette! I used quilting cottons and a cotton broadcloth. Looser woven fabrics do not hold up as well to this high density of cut lines. One other quick note on fabrics, try to find a dyed fabric for the longest portion of the tassel, it is the fabric where the back side is most likely to be seen. Choose 3 pieces of fabric. The inside layer needs to be 4” x 8”. Middle layer 3.5” x 10”. Top Layer 3” x 8”. 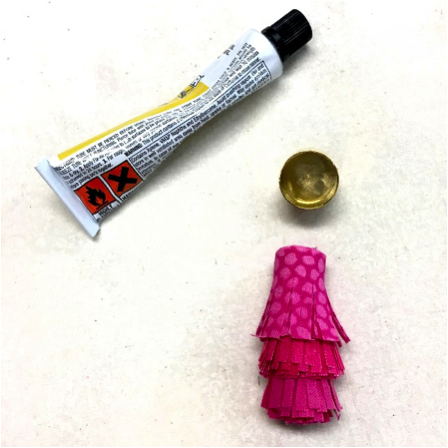 This combination will fit the large size tassel top at Craft Chameleon. 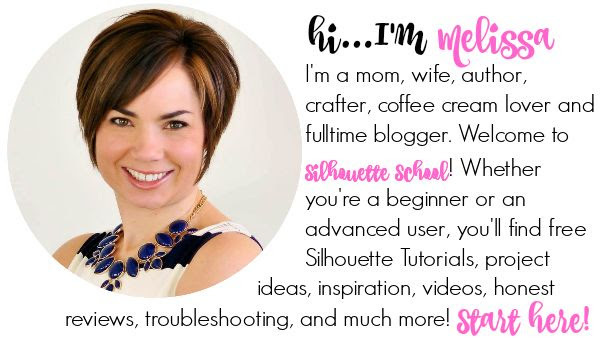 Now let’s make a tassel with the Silhouette CAMEO! Being a crafter I had a large bottle of starch which I decanted into a small spray bottle (add no water). 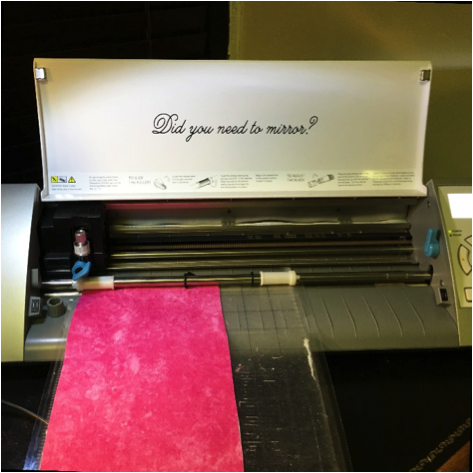 You could also use Terial Magic - Melissa has a tutorial on using Terial Magic to cut fabric with Silhouette here. 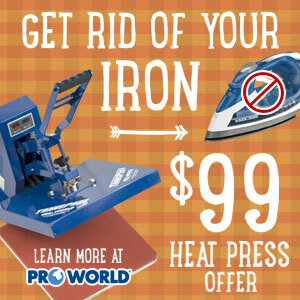 Set your iron to the maximum heat your fabric can handle. Saturate your fabric by spraying the starch or Terial Magic on one side. Place your pressing cloth over and iron the fabric until it is dry. Peel fabric off pressing cloth and turn to the opposite side of the fabric to repeat this process. 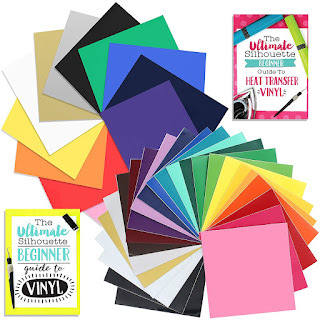 Once your strip is completely dry, it will feel a bit like a paper. In order for the starch to work it needs to be applied on both sides - so just make sure you have both sides starched before moving on. The next step is to iron a piece of freezer paper on top of the fabric taking care to place the shiny side towards the fabric (it will melt to your iron if you don’t). 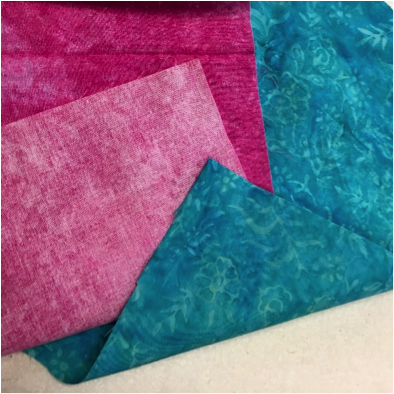 Make sure the entire portion of the fabric you are going to use is covered with freezer paper. Iron using the setting above linen/cotton. 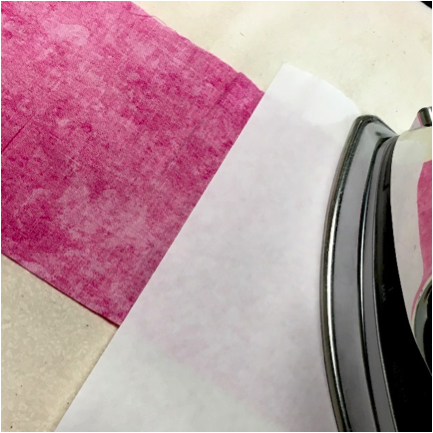 Keep your iron hot while you trim the excess paper away from the fabric. It needs to be like one unit in order to get the thin lines cut. Once it is cut, iron again to reseal any edges that might have started to peel up while trimming. Repeat for all three pieces of your fabric. Place your fabric, freezer paper side down, on a clean, very sticky mat. Burnish with your hand to make sure it is secure on the mat. 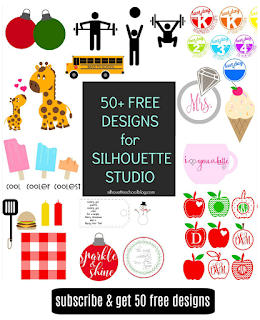 Open up Silhouette Studio and open the free Silhouette cut file for the tassels which you can download here. 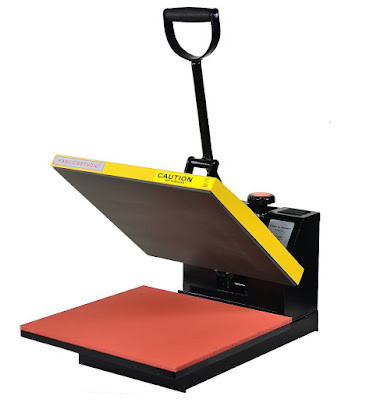 In Studio, position each file on the virtual mat so that it will cut on the fabric. From the Cut Settings window select Fabric - Thin Cotton from the material list. My recommended Silhouette cut settings for cutting the fabric tassels are: CB09 60 Degree Blade (you can set it to a 5 in the software), Speed 5, Depth 33. 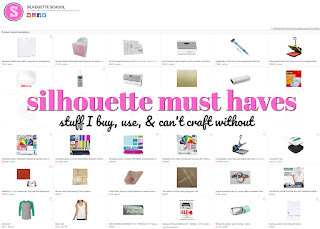 I can hear you now, can’t I use my Silhouette Fabric Blade? The answer is yes, however because the angle of the blade is different the fabric responds with slight notches when cutting the thin strips. But in case you want to try, the settings are blade 5, speed 5 and thickness 31. 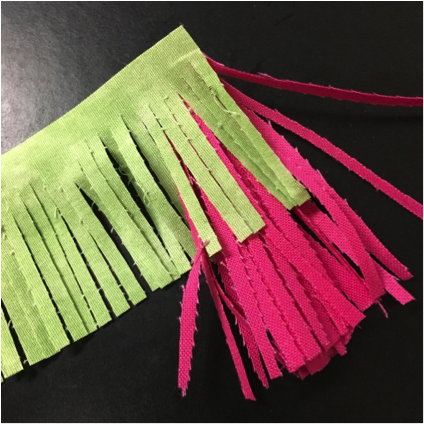 Once the tassels are finished cutting, remove the fabric from the cutting mat and peel the paper off the fabric. 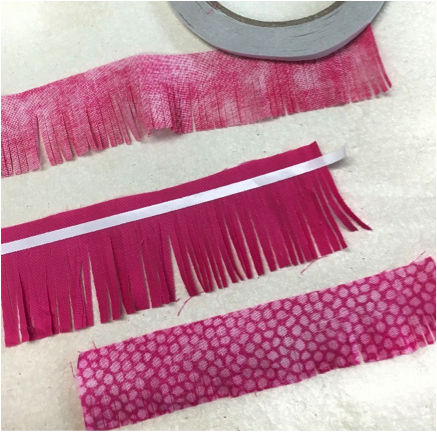 Flip over the fabric and apply double sided tape across the bottom portion of the header of the longest fringe first. 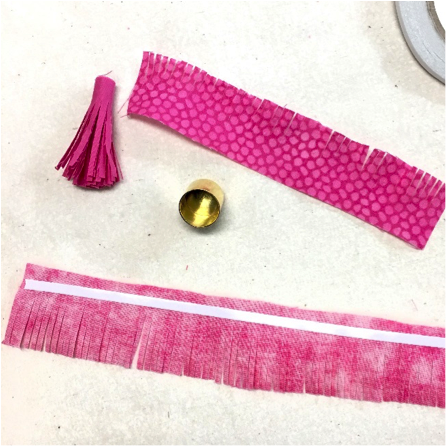 This is the Craft Chameleon 5mm double sided tape, but you could also use a thin application of hot glue or fabric glue. Slowly, roll up the tassel tightly keeping the top of the fringe area level. 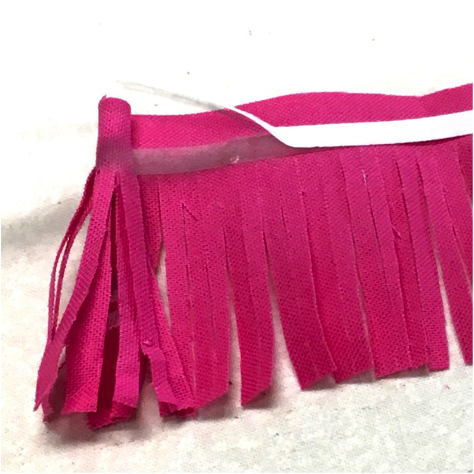 If you used fabric glue, let it dry completely before applying the tassel top. Continue the process with the next two sections of fabric fringe. The shortest tassel should be added last so it's on top. The last step is to glue on the tassel top! I like to use E6000. Spread the glue covering the entire inside of the cap. Let the adhesive in the cap cure for 24 hours before using. 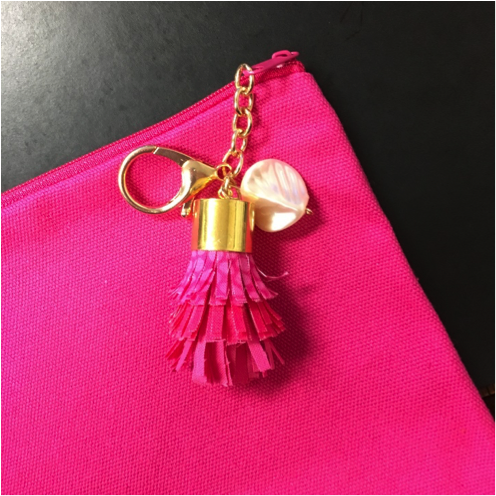 Fluff, accessorize and add to your fabric tassel to your favorite bag and enjoy!